One of the original 26 Grand Marque Champagne Houses, Ayala has had a noble history since its inception in 1860 when Edmond de Ayala received the magnificent Chateau as the dowry for his wedding. 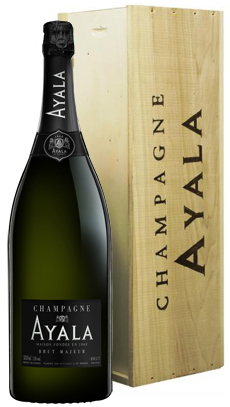 Located in Aÿ, in the heart of the Montagne de Reims vineyards, Ayala naturally focuses on Grand Cru Pinot Noir for its Brut Majeur and its Vintage Brut. Ayala is a "small" house, the artisan of champagne-making.